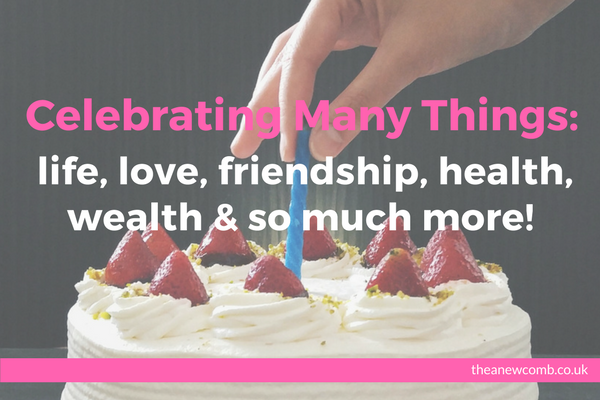 This is potentially going to be a random, waffly post about celebrating many things. First there is the fact that it’s Independence Day tomorrow, and even though I now live in the country we celebrate our independence from, I still like to celebrate…it’s a day that means a lot to me. I guess, in a way, I celebrate my own independence, and it’s less about simply being a patriotic American. I am celebrating the fact that So You’ve Been Dumped is now turning 17 years old tomorrow too. I don’t think, if you had said to me 17 years ago when the site launched, that I’d be doing this for 17 years, I would have believed you. Alas here we are. While I don’t run it to the same extent that I did for the first decade, it still ticks along with 30-40,000 visits each month (down from almost 50,000 a few months ago). It is still there to help the lovelorn which is the reason it was launched. Though the traffic is down, to be fair I don’t do anything with it…apart from moderate the comments. Truth be told, I debate whether to, either focus all my energy on sorting it this summer, or closing it altogether. It could go either way. Watch this space, as they say. In the meantime to celebrate the birthday, here are 17 Funny Breakup Lines from SYBD for your amusement. Enjoy and please share. I am also simply celebrating life. As an immediate family member fights Cancer, and with a mother who died around my age, it makes it all the more important for me to be mindful, grateful and to celebrate each day. The older I get the happier I get, as I simply don’t let things get to me the way they once did. As I now reach a major milestone birthday, I feel truly grateful. I am grateful for my health, wealth and for all of the people who have love and accepted me as I am. These people have stayed true, some even when I have behaved in ways that were less than positive, or said things that were hurtful. They forgive me. I also now forgive myself for those times I hurt friends in the past, who chose to never forgive or ever speak to me again. There are a handful of these people, who I still think about regularly, and wonder how they are. But, though I still think of them all, I no longer carry around the guilt for my past perceived crimes. If they choose to have a problem with me, or hold any malice toward me, then that’s on them. I have finally learned that I have no control over anyone else – whether they love me or loathe me is out of my control. “Perspective is a mirror not a fact”. I learned that I need forgive everyone who has ever said or done anything to hurt me. I chose to celebrate these experiences, and I am grateful to them and for the lessons they have all taught me. Though I spent a lot of time, energy and some money on it, I have decided to not launch the coffee after all. There were lots of problems that were going on behind the scenes that led to my decision but ultimately it was simply a learning experience for me. Though it wasn’t commercially launched, I did take an idea, build a brand, a concept and eventually even had physical products which were handed out – so to that end Neart was a success. Now Neart will become something else…I just need to work out what. I have many ideas marinating in my brain so we will see what the new Neart venture is. I am also celebrating my Younique business. There have been some purchases. There have been some new recruits (nearing 40 since I joined). One such recent recruit is Diane who works in Glasgow. It’s nice to be able to offer some one-to-one coaching in person. 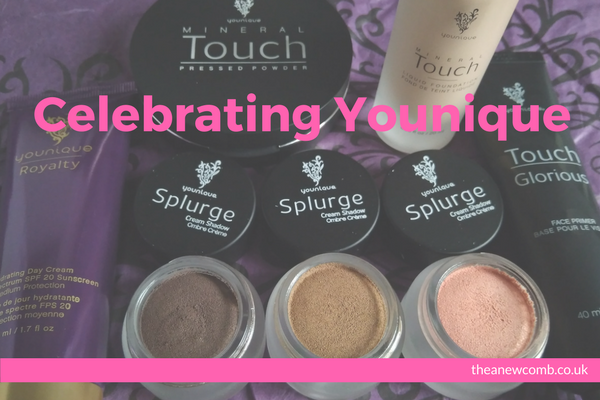 “Younique is not for everyone” is a phrase I utter often, but as I near my 3rd anniversary of being a presenter and sponsor, I still love running my business. I am loving the products and get excited by each new launch. If you have any interest about joining Younique and need a sponsor go here, or if you have questions, then feel free to reach out! I will always give honest info. Perhaps too honest. I think I sometimes end up talking people out of joining but I’d not want anyone to join who wasn’t fully committed anyway. It isn’t easy but it can be super fun for the right sort of person! If you fancy checking out the make up then please visit my Younique shop here. Well that’s all for now. Time to get my day rolling…Hopefully it won’t be another 2 months before I write here again. That said I have thought of closing this blog down too. I seem to be in simplify mode. We’ll see.